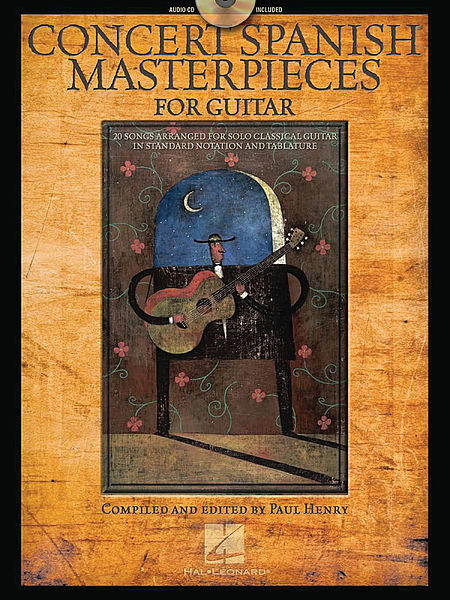 CONCERT SPANISH MASTERPIECES FOR GUITAR. Paul Henry. CD TAB. 20 Spanish standards arranged in notes and TAB. for the advanced classical guitarist. 88 pages. All the songs from Damien Rice's extraordinary debut album of heart-felt acousticfolk-pop. The most exciting album from an acoustic artist for a good while, Ireland's Damien Rice is a troubadour in the great tradition of Nick Drake, John Martyn and Neil Young. This album displays his singer-songwriting talents to the full, confirming his place with such exalted company. This folio contains all the songs from the album, presented in notation and full tab with lyrics. The Keyboard Play-Along Series will help you play your favorite songs as played by your favorite artists quickly and easily. Just follow the music in the book, listen to the CD to hear how the keyboard should sound, and then play along using the separate backing tracks. The melody and lyrics are also included in the book in case you want to sing, or to simply help you follow along. The audio CD is playable on any CD player. For PC and Mac users, the CD is enhanced so you can adjust the recording to any tempo without changing pitch! This volume contains 8 songs: Break on Through to the Other Side • Hello, I Love You (Won't You Tell Me Your Name?) • L.A. Woman • Light My Fire • Love Me Two Times • People Are Strange • Riders on the Storm • Roadhouse Blues. COUNTRY HITS, Guitar Play-Along Volume 76. CD TAB. 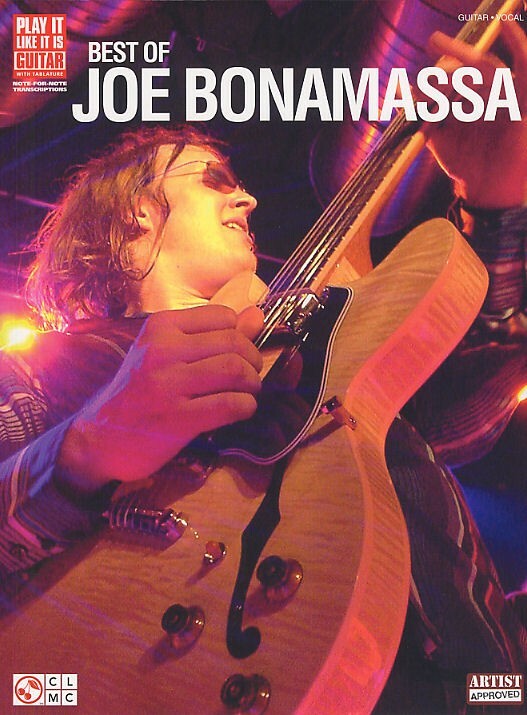 11 artist-approved note-for-note guitar transcriptions from this guitar mastermind, complete with an interview and photos. Includes: Blues Deluxe • Miss You, Hate You • New Day Yesterday • Pain and Sorrow • The River • So, It's like That • Woke up Dreaming • and more. artist I hadn't felt before." seamless than on his latest solo album, You & Me. Around for You" as favorites. 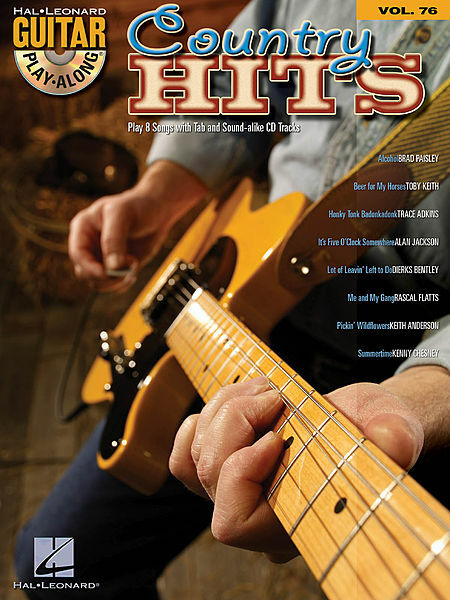 hitr 1 on Billboards Blues chart. the raw emotion that makes the blues what it is." four-year-old who just got his first guitar for Christmas,"
PACHELBEL JOHANN, CANON IN D GUITAR SOLO. TAB. 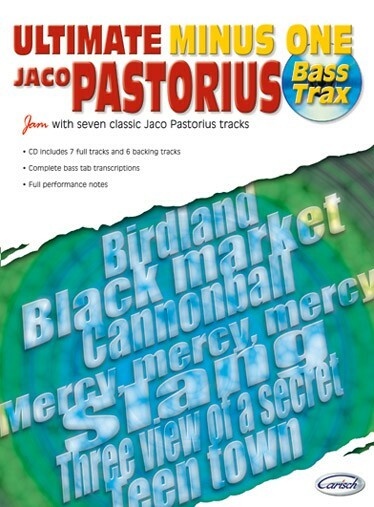 PASTORIUS JACO, ULTIMATE MINUS ONE. CD TAB. Questo libro vi permetterà di imparare a suonare usando basi musicali di altissima qualità. Ogni canzone è trascritta in notazioni standard e in tablature per basso. Il Cd allegato contiene, per ogni canzone, la base completa, nota per nota, per imparare a suonare il pezzo e la base Minus One per affinare la vostra abilità e provare l'emozione di esibirsi con una band dal vivo. DE LUCIA PACO, FUENTE Y CAUDAL. TAB. 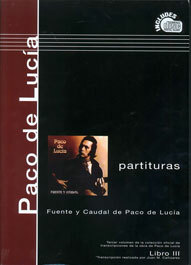 Third in a series of OFFICIAL chronological transcriptions of the recordings of renowned flamenco guitarist Paco de Lucia, this book presents eight pieces from his album, Fuente y Caudal de Paco de Lucia. Meticulously transcribed in standard notation and tablature, selections include: Entre dos agues; Aires choqueros; Reflejo de Luna; Solera; Fuente y caudal; Cepa andaluza; Los Pinares and Plaza de San Juan. A foreword, explanation of notation symbols, helpful tips and generous performance notes are provided in English, Spanish and French. Plaza de San Juan (Alegrías). GALLAGHER RORY, THE ESSENTIAL. TAB. Fourteen songs from the album arranged for Guitar tab complete with full lyrics. 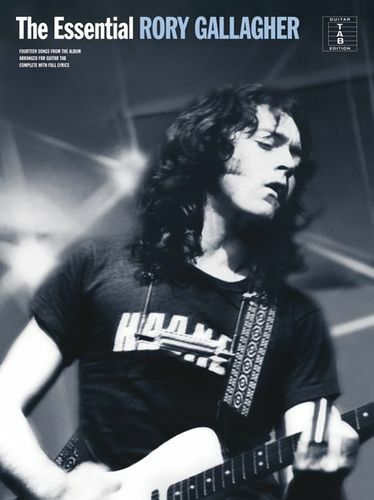 "As if fated to live the blues he studied so deeply, Rory Gallagher was beautiful, talented and doomed. He was just 47 years old when died after a liver transplant surgery in 1995. But in a career that spanned from 1969 until his death, Gallagher compiled one hell of a legacy. The Irish guitarist was a prolific music maker, recording 17 albums under his own name, and two studio albums with his early blues-rock trio, Taste. 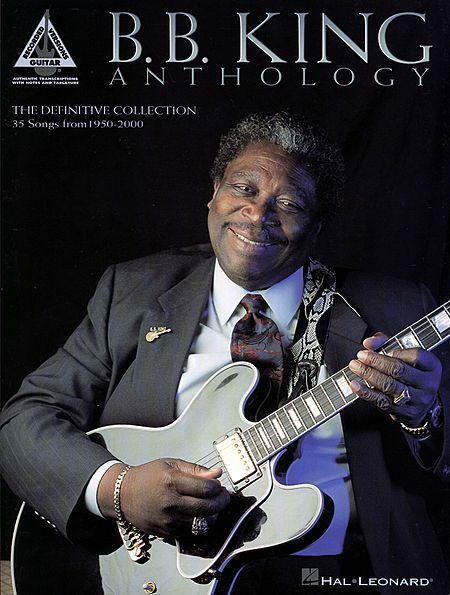 He also appeared on two seminal blues recordings: Muddy Waters' The London Sessions in 1972, and Albert King Live in 1977." - Michael Molenda (Editor, Guitar Player Magazine), 2004.